I like this poem a lot, and the main reason is that although the first two stanzas sound really depressing, once you get to the third one you realize that the poem itself is quite encouraging. Some days (in Michigan’s case, weeks) are going to be gloomy. And there’s nothing we can do about it, except remember that the sun is out there, somewhere behind the clouds. We can’t control the weather, but at least we can control our outlook on life. Besides, if every single day were sunny and bright, I don’t think we would appreciate those days as much as the first sunny day after a period of rain. I guess this way we don’t take the sun for granted. I personally have a really hard time with gloomy weather because it affects my mood. It may have something to do with SAD; I’m not sure. But whatever it is, the lack of sun gets me feeling rather depressed. When this happens, it helps just to remember sunnier days of the past or look at pictures of tropical places I’d one day like to visit. I have a calendar on my desk with a photo of a tropical island for each day. I also have vivid memories of my trip two years ago to Florida. This might sound silly, but if I try hard enough, I can almost feel the sunlight on my back. 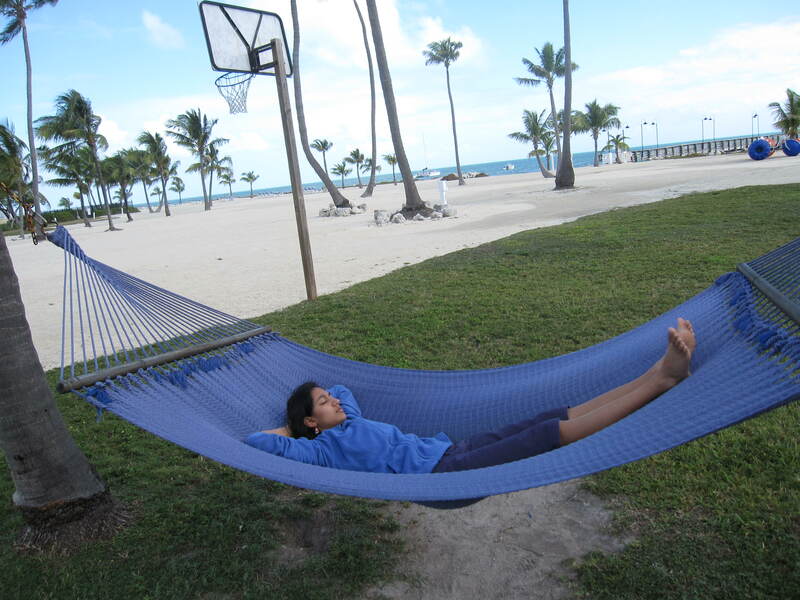 A photo of me in a place I’d rather be at the moment – relaxing in the Florida Keys on a sunny day! It reminds me a lot of the book Frederick, by Leo Lionni. You can read more about the book here. It’s a children’s picture book, and it’s very nice. I would definitely recommend reading it. It’s quite inspirational and the pictures are beautiful. At any rate, I think if we can just look past the rain and remember those warm, sunny days we’ve had, we can make it through the gloominess. Just try not to let those dark days get you down. Here’s to brighter days in the future!